Statins and Tendons Don’t Mix. Toe Tendons ≠ Achilles Tendon. My physical therapy, while working on calf muscle strength, has mainly focussed on all of the other muscles that support the ankle and foot. I’m talking the ones that provide side-to-side support, and having good balance. We’re getting there. I still figure, though, that my “Gymnopodal Therapy” is really important in getting me back all the way, or at least a good portion of there. So I’ve been trying to hike a lot, and I’ve slowly been building up my distance, and how much I use that foot. One problem is that it is too easy to cheat. If I don’t pay attention, my left foot seems to be perfectly happy limping. Not good, and it does not improve the muscle. If you think about the way you walk, you’ll notice that at the end of each step, you rise up onto the ball of your foot and then use your calf muscle and Achilles tendon to ease down onto the heel of your other foot. But if you can’t, you let your bad foot collapse early, and then you whomp onto the heel of your good foot. Or at least you whomp if you are trying to go at all faster than a snail. In my case, that means whomping onto the heel of my foot that’s connected to my ankle bone that’s connected to my shin bone that’s connected to my (bad) knee bone. And I’m feeling it. That’s the knee that always appreciated my going barefoot—going barefoot allowed me to be sensitive to how I was walking and how all my parts interconnect. So I try hard not to cheat so that I can regain that bodily harmony. As I hike I also notice other interconnected parts that still need a little something. The physical therapy does work on various muscles, but it doesn’t do much for all of the planter muscles and tendons. So I feel that a bit while hiking, but that has been rapidly improving. Yay! The sole of my injured foot is also (slowly!) responding to my hiking. While it had, as I’ve said, gone spongy, I am also starting to notice that the skin there is improving. And it can not happen soon enough for me. I’ve already injured that sole twice in my hikes. In the first instance, I “kicked” a rock, which peeled back a flap of skin. I haven’t had that happen in a long time. (And I really didn’t kick the rock very hard.) But that’s what spongy skin does—you kind of forget how, after building up keratin on one’s soles, just how protective it is. Fortunately, while the flap bled a bit, it scabbed over quickly and, while not good as new now, it pretty darn close. The second injury was a puncture injury on my heel. I got a slice about 2mm in and about 3mm long. This one did not bleed (though I definitely felt it). My heel skin may have been spongy, and therefore not very good at resisting punctures, but at least it was thick. The puncture just didn’t penetrate deeply enough. For my hikes, I’ve been slowly building up some distance. As I write this, I’ve accumulated 65 miles since surgery. I started really slow, as in this picture that I already showed you. 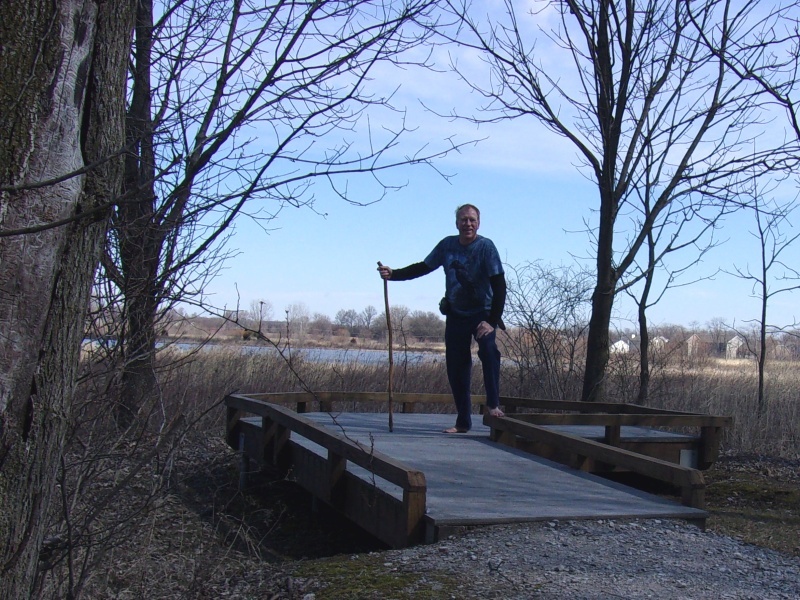 That was 0.30 miles at Shallenberger State Nature Preserve, on February 19, 7½ weeks after surgery. By March 15, 11 weeks after surgery, I was comfortable doing about 2 miles, with this picture you’ve seen before. In these hikes I really was forced to “cheat”. Limping was my style (and I could not do any more—but it was exercise, and I used the foot as much as I could and could stand). Lately I’ve been doing a lot more. At Alley Park I started doing closer to 3 miles in a hike. On April 22, 16½ weeks after surgery, I did 3.05 miles. 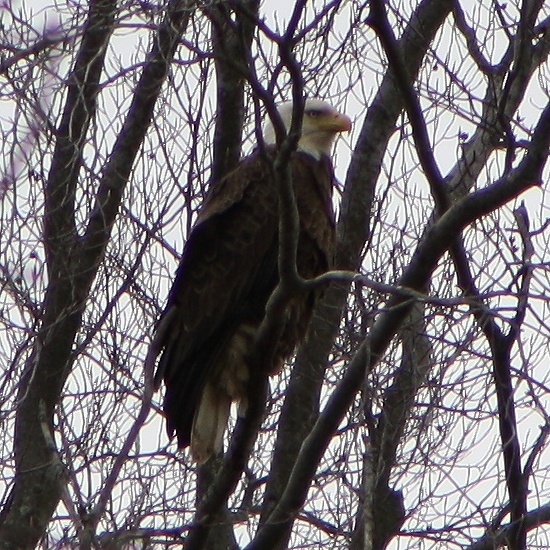 I also got a nice picture of this bald eagle that’s nesting there. Zaleski State Forest (actually Lake Hope State Park, which adjoins) has been my spot for even longer hikes. 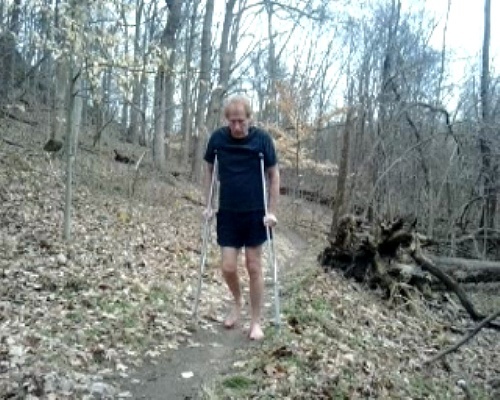 I managed 4½ miles there on April 13, 15 weeks after surgery, when there were not yet any leaves on the trees. Leafless trees do give one a nice feel for topography. 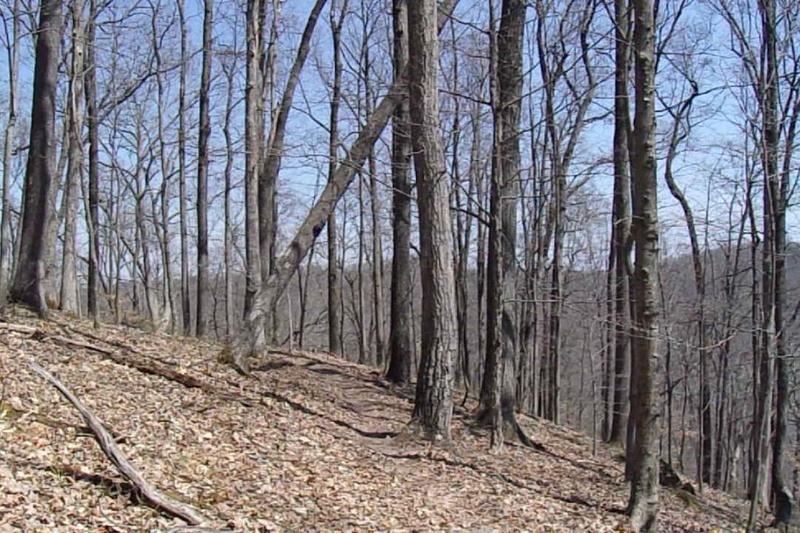 I was at Zaleski again on April 30, 17½ weeks after surgery, and did 7.2 miles (my longest hike to date). I managed fairly well for about 4 miles, but then had to slow down (and cheat more) as my Achilles really started to ache. 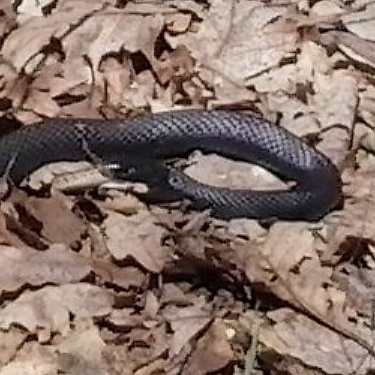 I also noticed this particular black rat snake. Today, I just got back from 6.4 miles at Clear Creek (yes, I am impatient and I am pushing it). It’s been 18 weeks since surgery. Yeah, it was a hot day. We hit something like 83° (28°C). 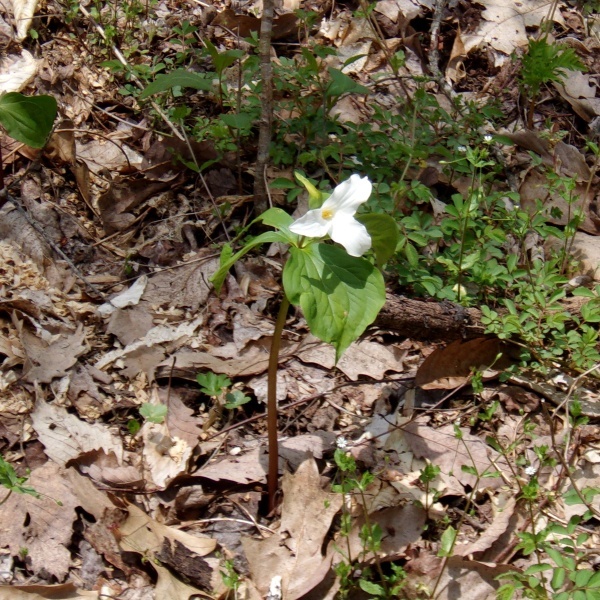 It’s also the time of year when Trilliums (Trillia?) are blooming. 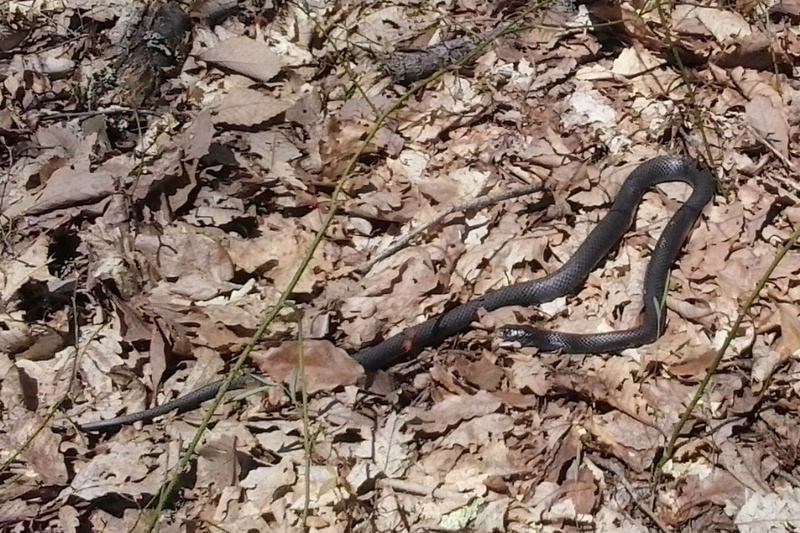 And there was another snake. That one was just sitting there in the middle of the path. 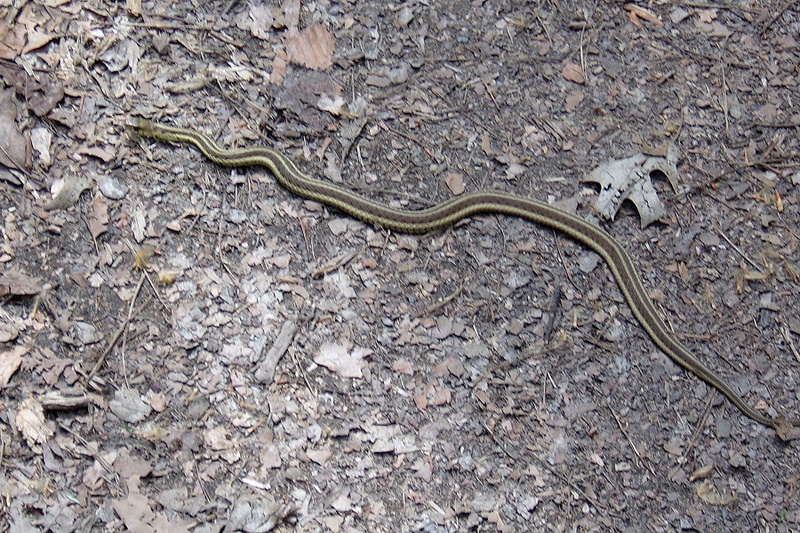 After taking its picture, I carefully walked around it without disturbing it. And finally, here’s one more picture at one of the streamlet crossings. It was a great day to be out, and I really had a chance to work my muscles. Climbing up and down those hills really requires attempting to use the ball of your foot. I have to admit to that my Achilles (and my calf) is rather sore right now, but I really pushed things the entire hike. It’s a soreness of satisfaction. Thanks for the story Bob, happy to hear about your progress. In my experience of barefoot injuries limping gets smoother by “looking at the world from your belly”. It relaxes the antagonists and helps normalize the structure… and slows down the pace 😉 Keep up the god work! That stinks that insurance is no longer covering PT! I had PT for over 10 months following my achilles repair. How’s your swelling? Mine was terrible for pretty much 9 months. Also, my tendon was very tender for almost 24 months post op, if I happened to bang it against anything, it almost brought me to tears, it hurt that bad. Watch out for folding chairs, with that stinking cross bar between the two front legs, that got me more times than I can count! I couldn’t even stretch out and cross my legs, with my left (injured) leg resting on top of my right, just too much pressure on my surgery site. But after roughly 2 years, that was gone. I’m impressed that you’ve already covered over 65 miles post op! Good for you!!! Thanks for your comments. It really helps to get perspective on this (so I can tell myself to “quitcher bitchin”). And while the area is still tender, I can rest that area on top of my other leg. But as you noted, I do have to be careful not to knock it on anything, which I did once and really regretted. So again, thank you for the comments. I am more encouraged and feeling less put out about the lack of muscle strength. Regarding PT, they’d only pay for 20 sessions. We started out at 2/week, but the last 4 we stretched out. The main problem (from my perspective) is that they have equipment that really helps that I don’t have access to, though I have bought myself some of the lesser items, like a muscle roller, a thick foam pad (for balance exercises), and just lately a wobble board (that I can also use to stand on a do some stretching).